Keyboards, Speakers and a Mouse - High Tech Outpost. 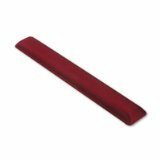 Allsop 21420 Keyboard Wrist Support Pad. New. Allsop 23135 Cable Control GuideWire Set. New. Black. Asound 4-Port USB Hub. HB-018. ASU011202902. New. AT&T 24099 Headset. Black. 2.5mm Plug. New. Belkin F2N006-06. 6'. New. Belkin F8E201. 3 Button PS/2 Mouse. Classic Mouse. Benwin FX USB-P 2.0. Multamedia Speakers. New. Bluetooth 2.0 USB Dongle. New. Retail package. Bosse Keyboard Gel Wrist Pad. 5489080203375. New. CompuCessory 11400 Computer Data Parallel Switch. Compuparts 300K USB Webcam With Stand. New. Creative 30113331090 Microphone. Almond Color. New. Data Switch. DB25 A/B. New. Dell Keyboard / Mouse PS/2 Splitter. DP/N 0D4002. Din 5 Male to Mini Din 6 Female IBM PS2. lB2-KAD-2. Encore ENKVM-USB 2-Port USB KVM Switch with Built in cables. Ergo PS/2 Mouse. Model: A68100. UPC: 736353681008. Fakeys "$ Sign" Key. New. Fakeys "Cigarette" Key. New. Fakeys "Coffee" Key. New. Fakeys "Coffee" Key. New. Fakeys "Friday" Key. New. Fakeys "Happy Face" Key. New. Fakeys "Happy Place" Key. New. Fakeys "Help!" Key. New. Fakeys "Hitchin a Ride" Key. New. Black. Fakeys "Light Bulb" Key. New. Fakeys "Longhorns" Key. New. Fakeys "Martini Glass" Key. New. Fakeys "Panic Button" Key. New. Fakeys "Peace Sign" Key. New. Fakeys "S.O.S." Key. New. Fakeys "Shut Up" Key. New. Fellowes FEL58763 Optical Mouse Pad. Ocean Wave. New. Fellowes FEL96737 20" Gel Wrist Guard. Ruby Red Color. 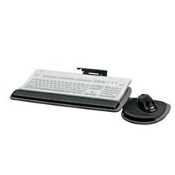 Fellowes FEL97737 20" Gel Wrist Rest. Emerald Green color. 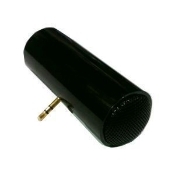 Gateway 7002345 Mini Microphone. New. Genica 3 Button PS/2 Scrolling Mouse. GN-115 GN115. Genica GN-250 HI-FI Stereo Speakers. 810884002508. Innax YT-660 Computer Speakers. New. 260 Watt. Black. Innovera IVR-61023 PS/2 Scroll Mouse. New. Black. Intellinet 0428K4-0638 iview. PS/2 Mini KVM Switch. Intellinet iView 2 Port Mini KVM Switch with cables. 172110. Key Tronic KT800PS2 Beige PS2 104 Key Enhanced Keyboard. KVM Cable with USB Connector. New. Labtec Deluxe Microphone. AM-22. 080236301430. New. Labtec Desk Verse Mic 524 Desktop Multimedia Boom Microphone. Labtec LT-730 Switchback Behind the Head Headphones. Logitech 930499-0403 First Wheel PS/2 Mouse. New. Manhattan 360388 AT to PS/2 Keyboard Adapter. New. Midiland MLi-460 2 Speakers, 1 Subwoofer. New. 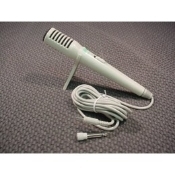 Midiland Omni-Directional Desktop Microphone. MP008 New. Mini 3.5mm Flexible Microphone for PC/Laptop/Skype/VOIP Mouse Cleaner. AMC1. Eliminate Skipping. New. Mouse Holder. Attaches To Computer Monitor. Model: HT-592. New. Mouse Pad 251157 With Wrist Pad. New. Blue. Optical Mouse. PS/2. Corded. New. Blue. PC Accessories A67230 Black Mouse Pad. 736353672303. Senger Mousepad 017. Golden Gate Bridge. 692119201289. Senger Mousepad 017. Pokemon. 692119201289. Simtechs LC-803 Internal Desktop 5 1/4" Minisubwoofer. Staples Gel Wrist Rest. 077511889219. New. Star Trek Type 1 Phaser Mouse. 07005. 631477070052. New. 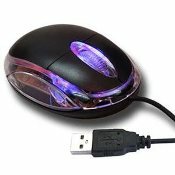 USB 2.0 Optical Scroll Wheel Mini Mouse. New Vuescape Portable Mini Speaker. 11011274. 3.5mm Audio Jack. Wrist Gel Wrist Guard. New. Wristease Magnet Massage Mouse Pad. Powerpuff Girls. Wristease Magnet Massage Mouse pad. US Capital. Wristease Magnet Massage Mouspad. Early Harry Potter. Wristease Magnet Massage Mouspad. Hello Kitty. New. Wristease Magnet Massage Mouspad. Superman. Model: 017. Wristease Magnet Massage Mouspad. World Trade Center.